Magnesium is an essential mineral with important roles in the brain supporting healthy memory and youthful cognitive function. Neuro-Mag Magnesium L-Threonate provides an ultra-absorbable form of magnesium, making it perfect for memory and cognitive health support. Help maintain your brain health with Neuro-Mag! Magnesium is needed for more than 300 biochemical reactions and 600 enzymatic reactions in the body. In particular, magnesium plays important roles in the nervous system and brain functions5. Unfortunately, most Americans don’t get enough magnesium from their diet, and magnesium deficiency increases with age.6,7 Not all magnesium supplements are readily absorbed into the central nervous system. But Neuro-Mag magnesium L-threonateis a unique form of magnesium that is better absorbed by the brain. In a pre-clinical model, the magnesium L-threonate contained in Neuro-Mag could boost magnesium levels in the cerobrospinal fluid (the liquid around your brain and spinal cord) by as much as 15% after only 24 days. 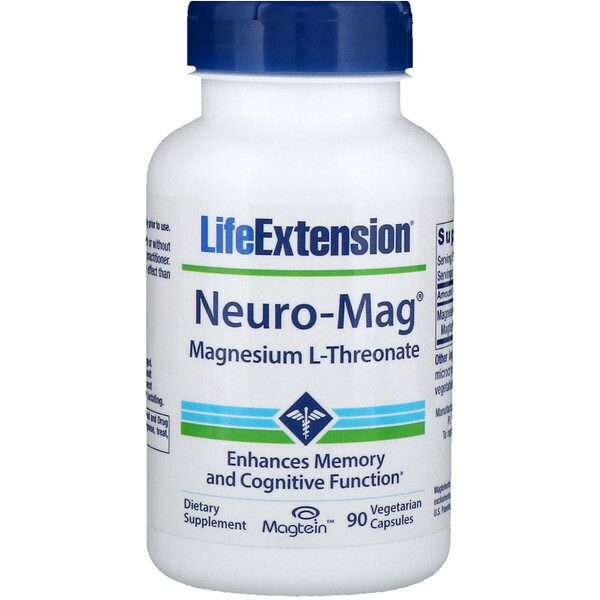 Magnesium L-threonate was also shown to improve short-and long-term memory by almost 100%, and to help maintain effective function and quantity of synaptic connections between brain cells. 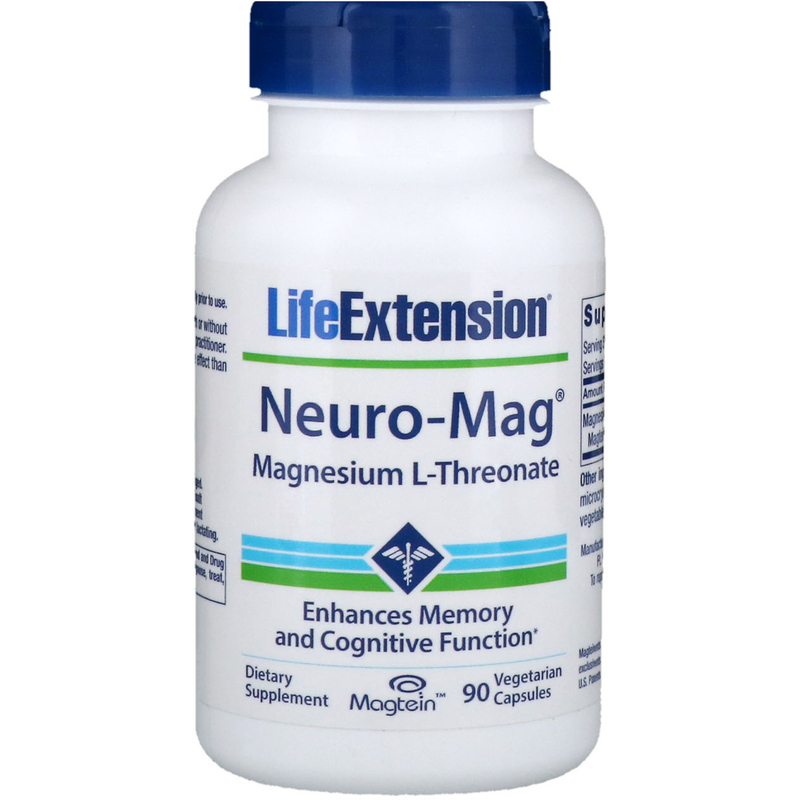 Magnesium L-threonate also helps facilitate important brain cells signaling pathways, which are associated with improved memory. That’s why ultra-absorbable Neuro-Mag is our best magnesium supplement for cognitive health. A single bottle of Neuro-Mag Magnesium L-Threonate contains 90 vegetarian capsules — enough for a one-month supply. 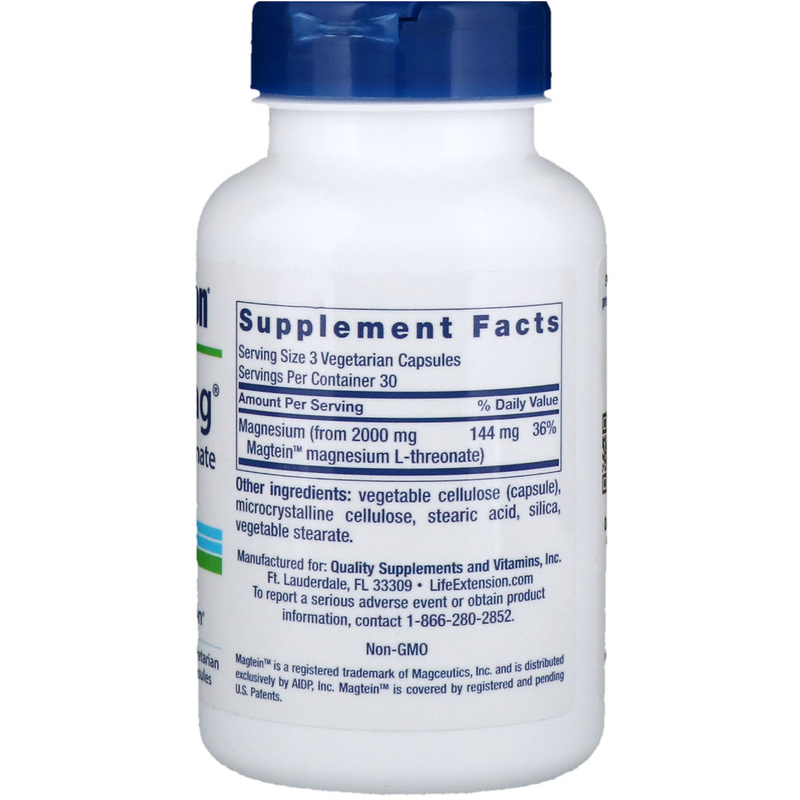 The suggested daily dose of three capsules provides 2,000 mg of magnesium L-threonate, the preferred form of magnesium for enhanced memory and cognitive health support. So, try Neuro-Mag today … and help maintain your brain health! Take three (3) capsules daily with or without food, or as recommended by a healthcare practitioner. Magnesium L-Threonate has less of a laxative effect than other forms of magnesium. Vegetable cellulose (capsule), microcrystalline cellulose, stearic acid, silica, vegetable stearate.